Social media is gaining considerable influence in political affairs. On the one hand, these networks can be effective platforms with which politicians can reach large audiences. On the other hand, this power can have detrimental effects on international diplomacy. As a platform intended primarily for expressing opinions, Twitter is a prominent example of this phenomenon. In internal government affairs, releasing tweets is an excellent strategy for politicians to reach voters. However, in the sphere of international relations, the content of these posts can also be seen as a significant violation of international conduct. The Saudi Arabia-Canada conflict in August 2018 demonstrates these complications. On July 30th, Samar Badawi and Nassima al-Sadah, two prominent human rights activists, were arrested by the Saudi Arabian government for advocating against the country’s male guardianship laws. With the arrests of Badawi and al-Sadah, the total of women’s rights activists jailed for dissent against the regime in the last year rose to nine. The Canadian administration felt a duty to speak out. On August 2, the Minister of Foreign Affairs, Chrystia Freeland, tweeted that she was “alarmed” at Badawi’s detention. The following day, Foreign Policy Canada released a tweet that represented a more collective Canadian stance on the arrests, stating that Canada was “gravely concerned” to learn about the arrests of the human rights activists. Both tweets insisted that Saudi Arabian authorities release Badawi immediately. In light of this controversy, the following question arises: does Canada have the right to intervene in Saudi Arabian affairs on the grounds of a human rights violation? In short, the answer is unclear. In our current international order, violations of human rights complicate the principle of non-intervention that punctuates the sovereign State system. In 1648, a series of documents called The Treaty of Westphalia ended the religious conflict in Europe known as the Thirty Years War. [i] These treaties not only introduced the principle of sovereignty, but also that of non-intervention. As such, the treaty argues that since States have the authority to make laws that are territorially-binding to citizens within its borders, they do not have the right to enforce laws on each other. In the international sphere, these human rights treaties conflict with the principle of non-intervention. International society is still based on the system of sovereign states, yet the emergence of human rights treaties seem to erode the notion of non-intervention that is inherent to the Westphalian system. On the one hand, these doctrines run the risk of infringing upon the state authority, yet, on the other hand, most state leaders support the idea of a general code of conduct for states to follow in order to secure the well-being of the world’s citizens. The Saudi Arabia-Canada conflict shows that both of these arguments have validity in our current international context. On the one hand, Saudi Arabia is a sovereign state and has primacy of authority to make its own decisions within its borders. As such, Canada’s critique of its performance in respecting human rights and its request for Saudi Arabia to release its prisoners is disrespectful to Saudi Arabia’s authority to make such decisions. Additionally, this demonstrates Canada’s belief in its own human rights values as a normative standard to which other states must adhere. On the other hand, Canada is a part of an international organization that supports the upholding of human rights treaties. 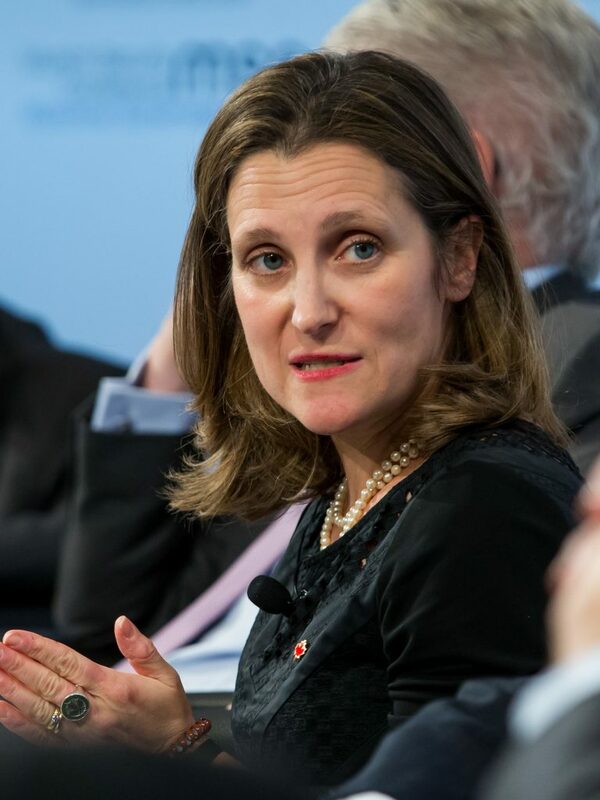 As such, according to Ms. Freeland and to the Canadian government, these expressed beliefs concerning human rights are not only Canadian but universal. As a state that endorses these values, Canada might have seen the calls for the release of Saudi Arabian human rights activists as a fulfillment of that commitment. 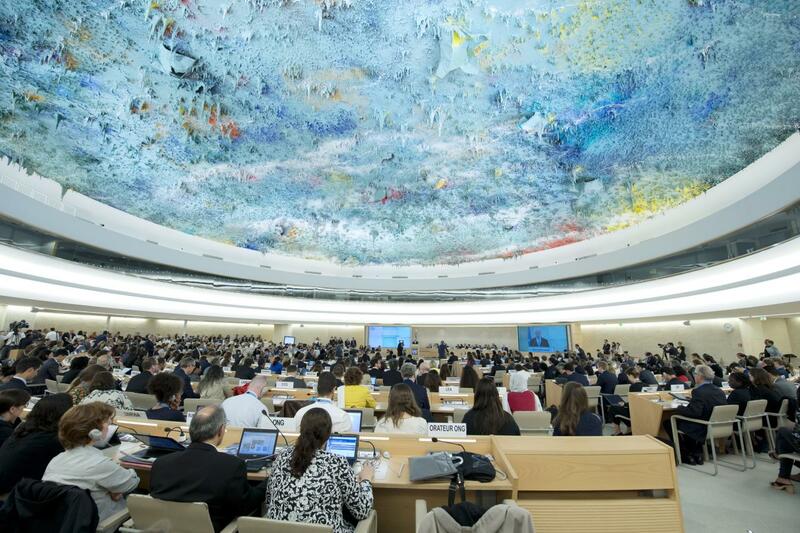 Moreover, it likely saw these “universal” norms as a justification to condemn the political decisions of a state that, as part of its membership in the United Nations, is, in theory, committed to upholding the human rights standards decreed in the Universal Declaration of Human Rights. This conflict highlights that both Saudi Arabia and Canada made decisions that escalated the conflict in trying to balance non-intervention and human rights agreements. Canada’s tweets show that the Universal Declaration is a standard for conduct, and that violation of those standards justifies intervention. Therefore, by upholding the power of the declaration, Canada was not violating international norms of diplomacy as suggested by the Saudi tweet. However, it is doubtful that Canada should have acted unilaterally on the Twitter platform in addressing these concerns. Instead, Canada should have expressed its disapproval through the international organization itself – thereby restraining from the belief that its mere membership of the United Nations warrants its open condemnation of other states practices. While it is imperative to enforce human rights values in order to protect citizens’ well-being, such enforcement should bear in mind the equal position of one state in relation to another, and that international organizations are the sole bodies authorized to enforce such values. Feature image by Jean-Marc Ferré via Flickr Creative Commons. [i] Holy Roman Emperor, King of France. “Treaty of Westphalia; October 24, 1648.” Primary Resources in International Affairs, 1648, doi:10.1007/springerreference_224515. [iii] Beitz, Charles. “Human Rights as a Common Concern.” The American Political Science Review, vol. 95, no. 2, June 2001, pp. 269–282. [iv] Mutua, Makau. “Savages, Victims, Saviors: The Metaphor of Human Rights.” Harvard International Law Journal, vol. 42, no. 1, 2001, pp. 201–245., doi:10.1163/2210-7975_hrd-9962-3006. [v] Beitz, Charles. “Human Rights as a Common Concern.” The American Political Science Review, vol. 95, no. 2, June 2001, pp. 269–282.